LUCK, which stands for Local Urban Craft Kitchen, is the ideal local hangout for Dallas beer enthusiasts. Restauranteurs Jeff Dietzman, Daniel Pittman, and Ned Steel have collaborated to create their dream restaurant–a casual place to spend time with friends, family, and North Texas beer. This spot in Trinity Groves is a craft beer inspired kitchen that aims to create dishes that both pair well with craft beer and use beer as an ingredient–an obvious choice for our “Pairings” project! The menu is stocked full of American comfort food with a Texas twist and their bar is flowing with local beer, including OHB. Want to take some beer home with you? You have the option to fill your growler at the bar. In addition, LUCK has been known to do quirky beer parings with sushi, doughnuts, Halloween candy, and more! 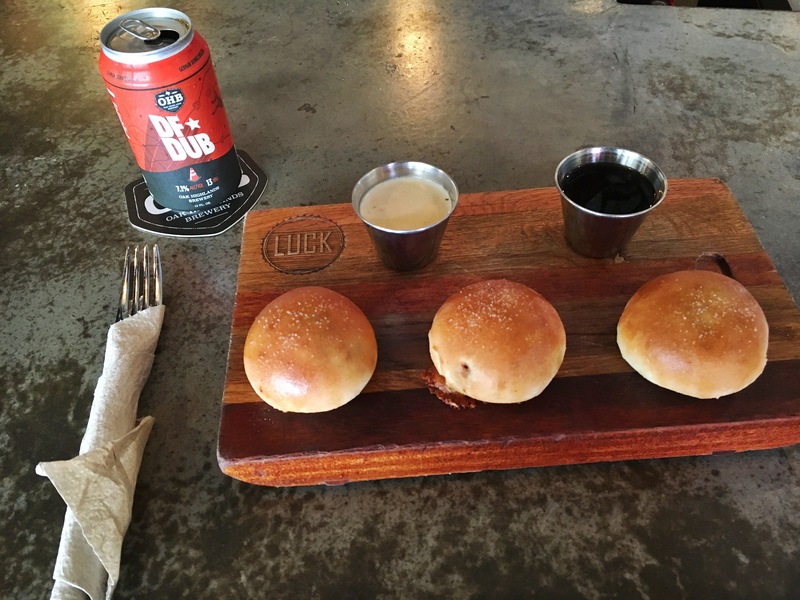 Here’s what we recommend for an appetizer: The Bierocks (meat and cheese-filled pastries served with beer cheese fondu & au jus) with an OHB DFDub. 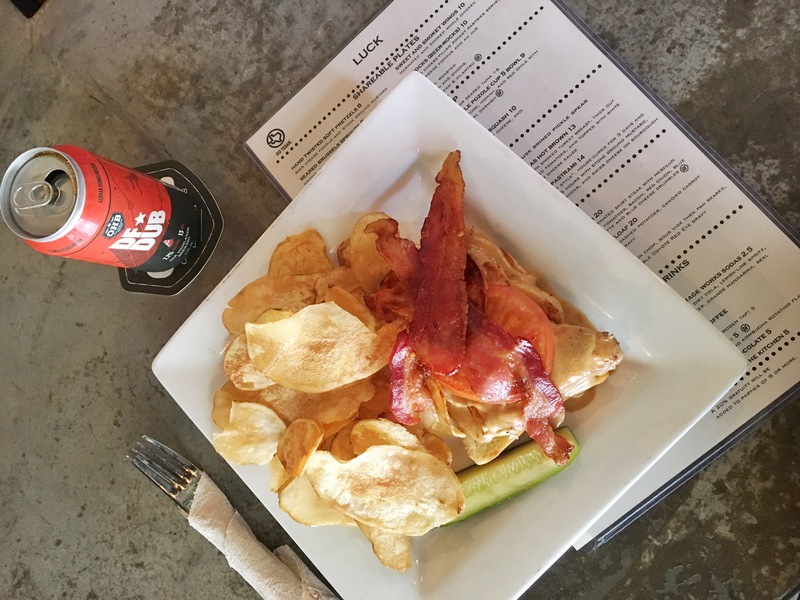 Here’s what we recommend for an entree: The North Texas Hot Brown Sandwich (open face with smoked turkey breast, thick cut bacon, grilled tomatoes, and topped with white cheddar beer cheese sauce) served with a side of house fried potato chips and a pickle spear with an OHB DFDub.